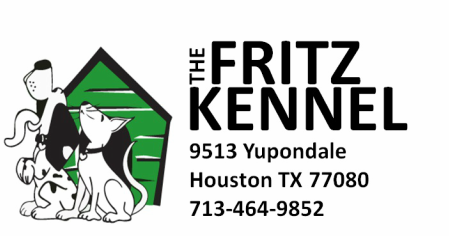 The Fritz Kennel is a family owned and operated business that specializes in dog & cat boarding, day care and bath’s. As of July 2013, The Fritz went under new ownership. The new owner, Patrick, served as a K-9 trainer in the United States Marine Corps. Patrick was able to retain most of the staff to ensure the most seamless transition possible. Many years ago, TLC Kennels, soon changed to The Fritz, was built on the rescue foundation. Working with great rescues such as Lone Star Boxer Rescue, Adore, K-9 Angels, German Shepard Rescue and many others. We are proud to say that The Fritz is still able to work with numerous local rescues, as well as sponsor all types of adoption events. Our mission at The Fritz is to make your pet feel like he or she has a second home. We will do whatever it takes to make your furry loves one’s stay with us as fun, safe and relaxing as possible.